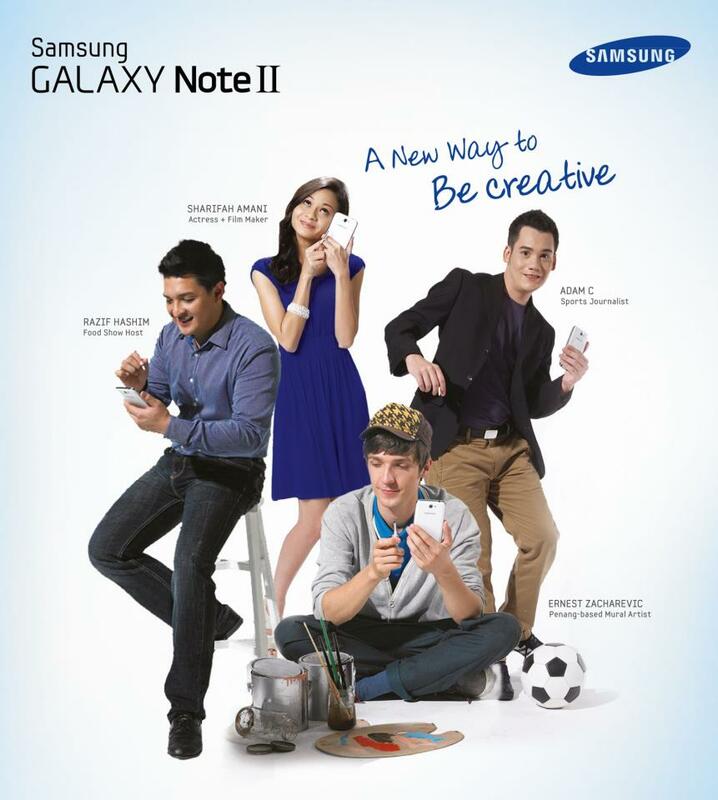 Samsung Galaxy Note II: Be Creative and Win! Well, if you know me well enough, you’ll know that I’m actually not a person with much creativity. But when I know that Ernest Zacharevic, the artist that has beautified Penang with his street arts is going to give out a limited edition signed print from the art sensation himself in Samsung Galaxy Note II Be Creative and Win contest, I took the extra miles and unleash my undiscovered creativity *ahem ahem* to try and win it! Wanna win it too? The steps are pretty simple really. 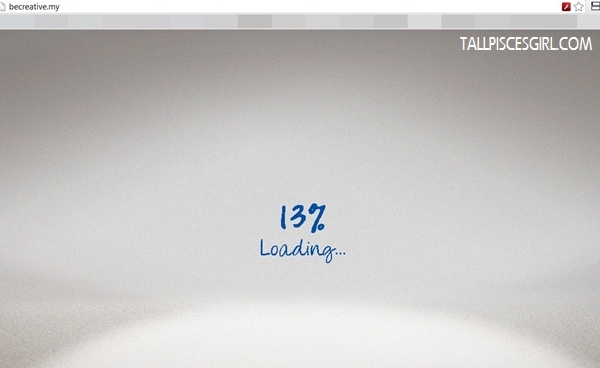 Firstly, navigate to www.becreative.my and wait for the interface to load. 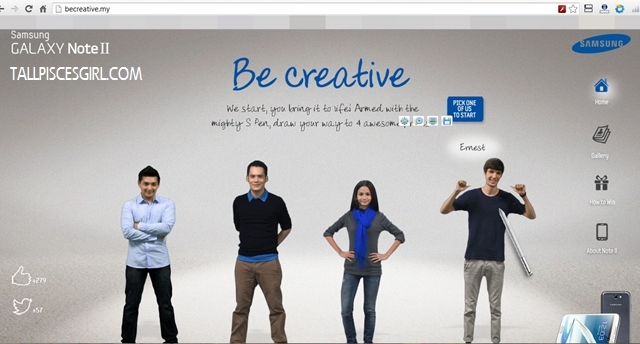 Pick one of the Samsung Ambassadors to start drawing the fun experience with S Pen! Different person gives different drawing to start on and also rewards you with different prizes. So choose wisely! After you’re done, just click on the Submit button, choose your preferred submission method and voila! You’re done! Oh BTW, do check out this funny promotional video from Ernest Zacharevic!